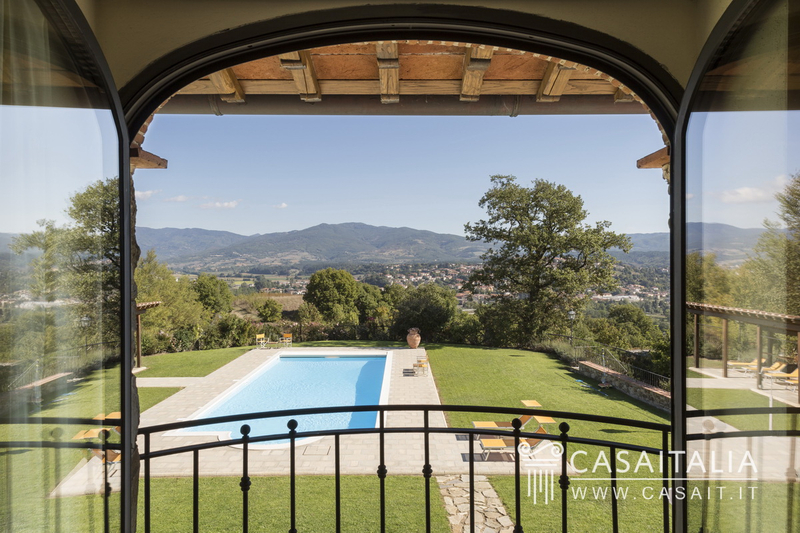 Garden View, Hills View, Open View, Panoramic, Swimming Pool View, Valley, View. 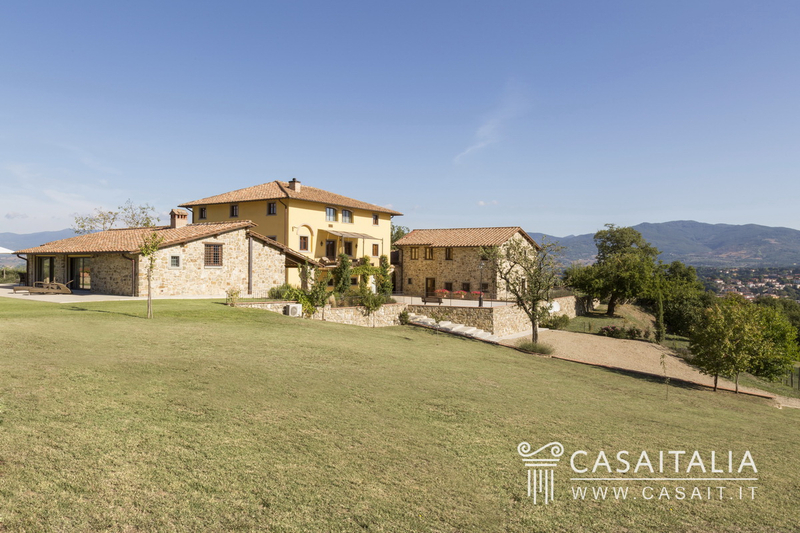 In a hilly, panoramic and secluded location with a view of the traditional village of Bibbiena and its castle, Casale San Damiano is a property comprising a farmhouse and two outbuildings, surrounded by around 30 hectares of land. 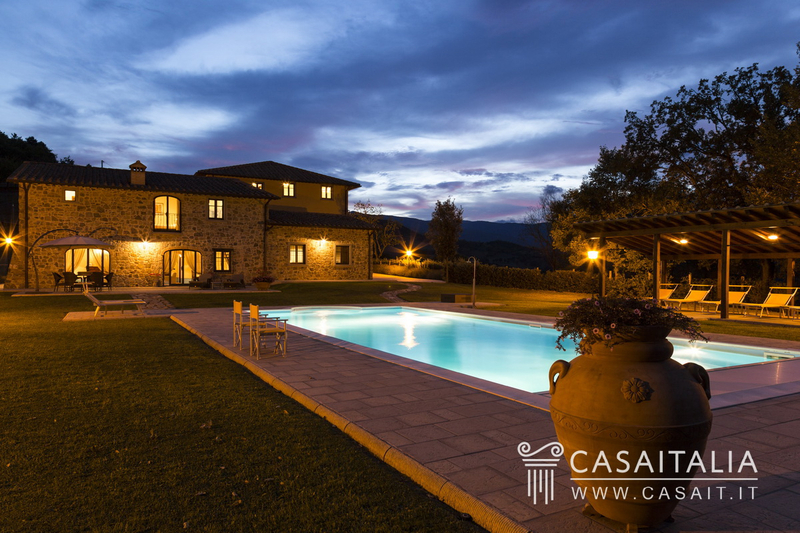 The property is situated in Tuscany, just 16 km from the Foreste Casentinesi National Park, in a place where history comes alive in the ancient buildings, well-preserved churches and local traditions. Bibbiena, an important Etruscan town and medieval stronghold, is around 3 km away and is the place to go for shopping and daily needs, while 8 km away is Poppi, one of the key tourist destinations in Tuscany and one of ‘Italy’s most Beautiful Villages.’ Arezzo, 34 km away, can be reached in around half an hour by car and Florence, 56 km away, in just over an hour. The closest airport is Florence, at 80 km. Description of buildings Main Farmhouse The main farmhouse has 3 floors and a total surface area of 525 sq.m, plus the porticoes and a terrace on the first floor. As usual with old rural houses, the main living areas of the house can be found on the first and second floors, while on the ground floor there are the utility rooms: two large basement rooms/cellars, one with access to a loggia of 18 sq.m, a kitchen, the pantry, the laundry, a bathroom and a technical area. 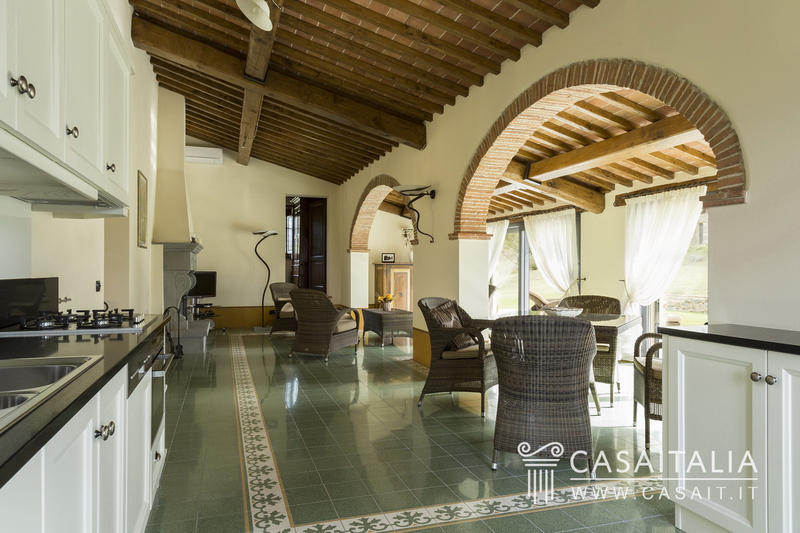 The first floor is accessible both from the ground floor, via an internal staircase, and by an external covered staircase, another typical feature of the traditional houses of the area. 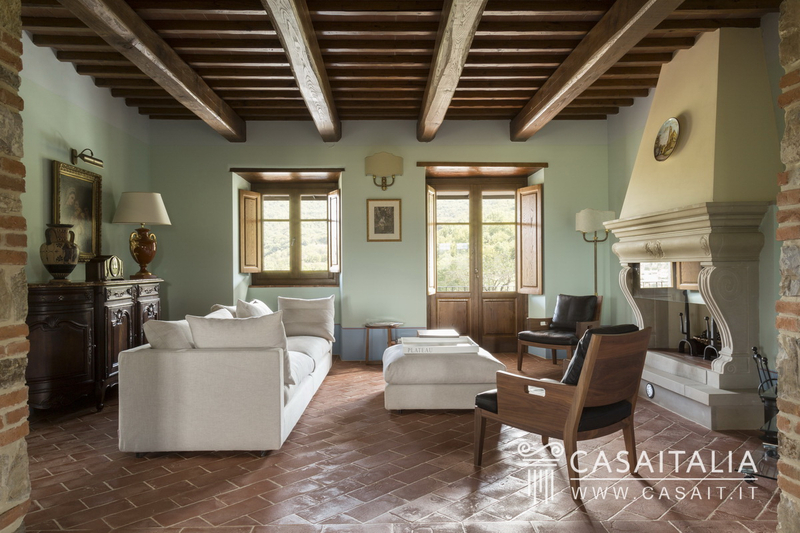 The entrance opens into the large living area, with dining room, dining kitchen with island, sitting room with fireplace and access to the terrace, study, studio and bathroom. 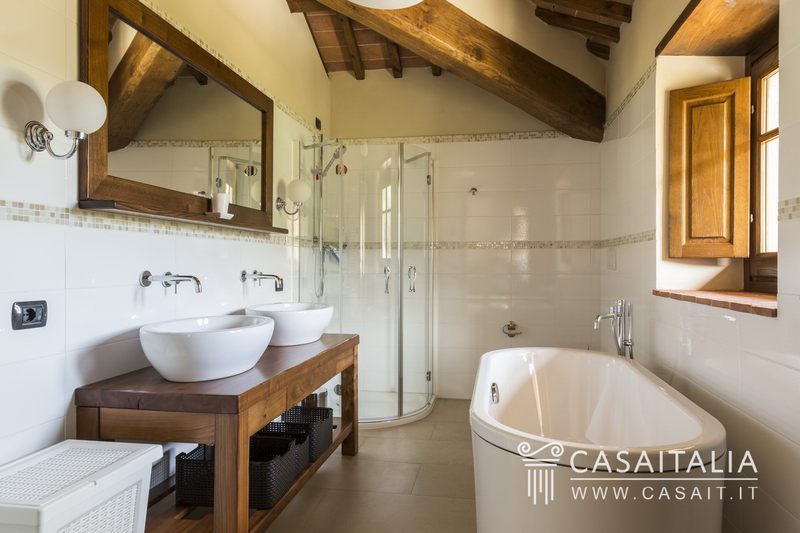 On the second floor there is the sleeping area, with three large bedrooms with en-suite bathrooms. Outbuilding 1 Total surface area of 272 sq.m on 2 floors, plus 38 sq.m garage and an awning of 52 sq.m The ground floor comprises the living/dining room with fireplace, the dining kitchen and a bathroom. The first floor has 3 bedrooms with en-suite bathrooms. Also on the ground floor, there is the garage, of 38 sq.m and a large canopy, of 52 sq.m. 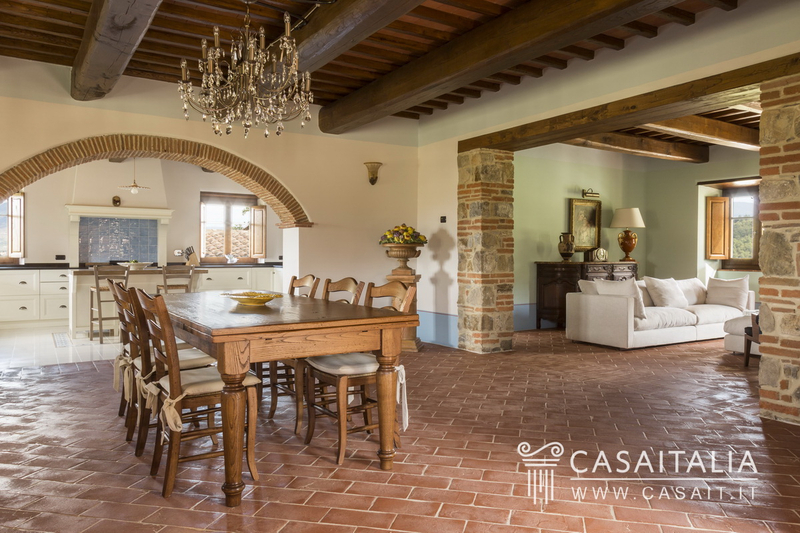 Outbuilding 2 With a total surface area of 150 sq.m on one floor, comprises large living room with fireplace, dining area and kitchenette, two bedrooms with en-suite and a guest bathroom in the living area. Outside there are two small loggias and a wood-burning stove. 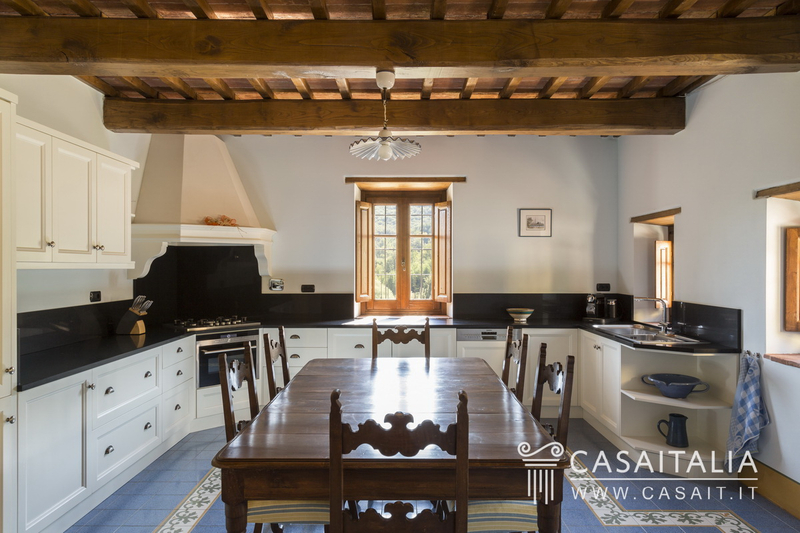 State and finishing The farmhouse and outbuildings have been completely restored, preserving their original architectural features both inside and out. External areas Casale San Damiano is surrounded by approx. 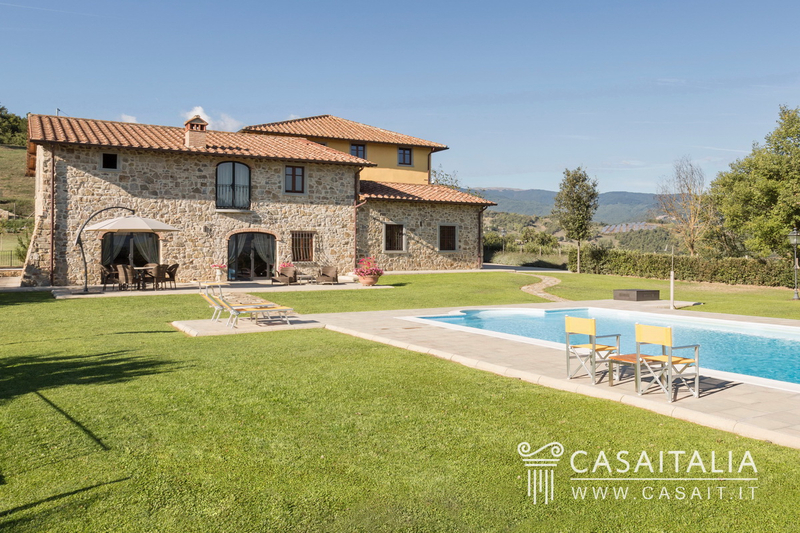 30 hectares of private land, of which the area around the buildings is landscaped garden with a pretty 6x 14m swimming pool, heated by solar panels. 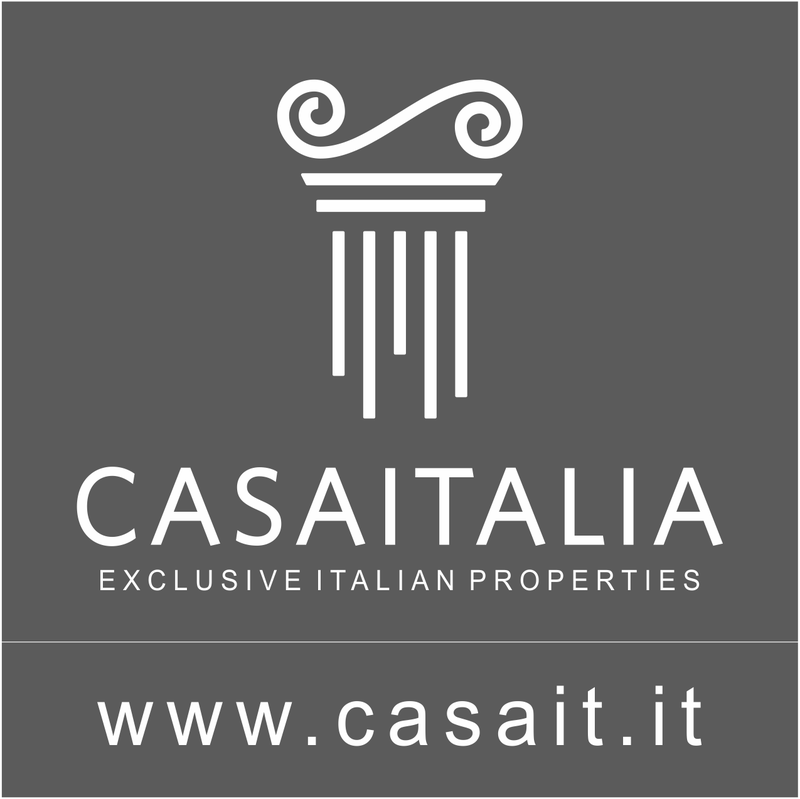 Use and potential uses Thanks to its large size and location in Tuscany close to the Foreste Casentinesi National Park. 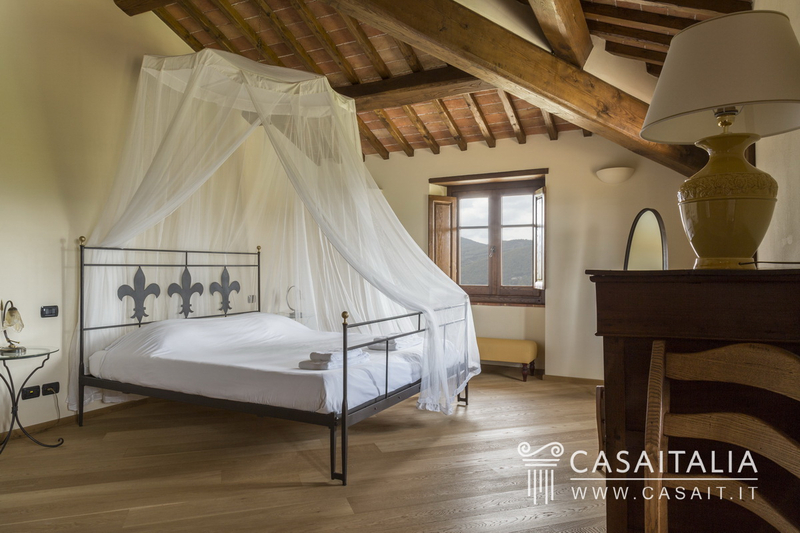 Casale San Damiano is perfect as holiday accommodation, with the opportunity to set up a small B&B business, using the two outbuildings for guests.